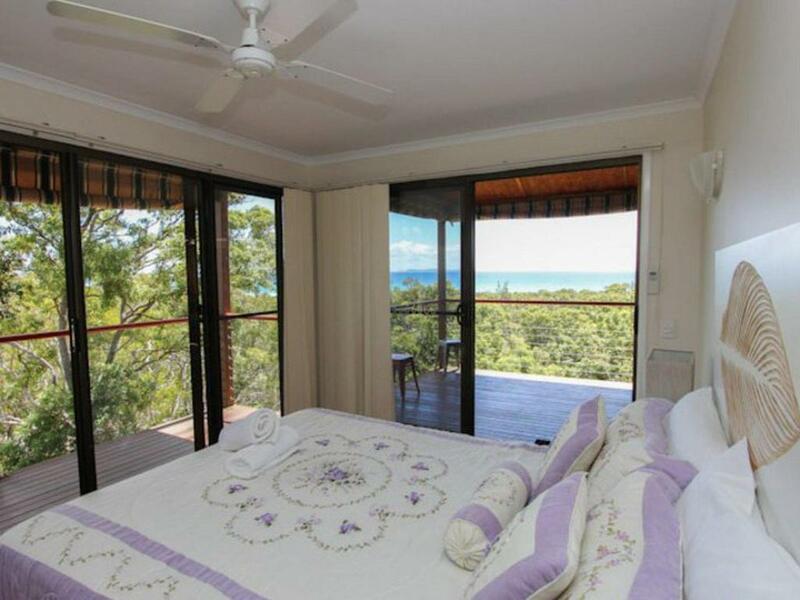 Located in Point Lookout in the North Stradbroke Island region, Coral Sea Lookout has a balcony and sea views. Guests staying at this vacation home can use the patio. The vacation home features a flat-screen TV with cable channels, a well-equipped kitchen with a dishwasher and an oven, and a bathroom with a bath and free toiletries. 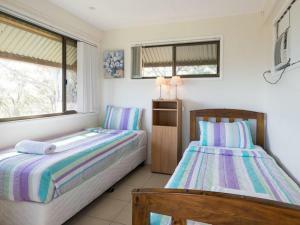 When would you like to stay at Coral Sea Lookout? 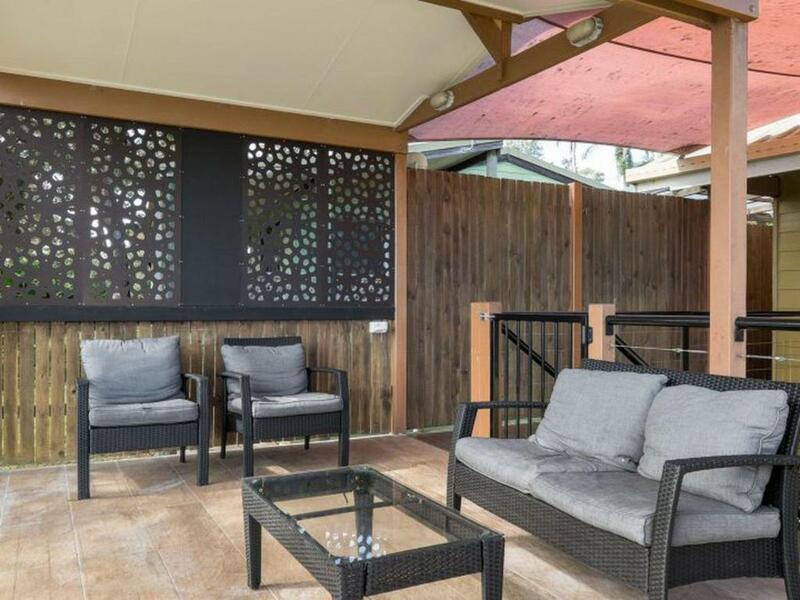 This holiday home has a balcony, washing machine and dining area. Coral Sea Lookout is a beautifully renovated beach house featuring lovely ocean views and is surrounded by a sub-tropical gardens. 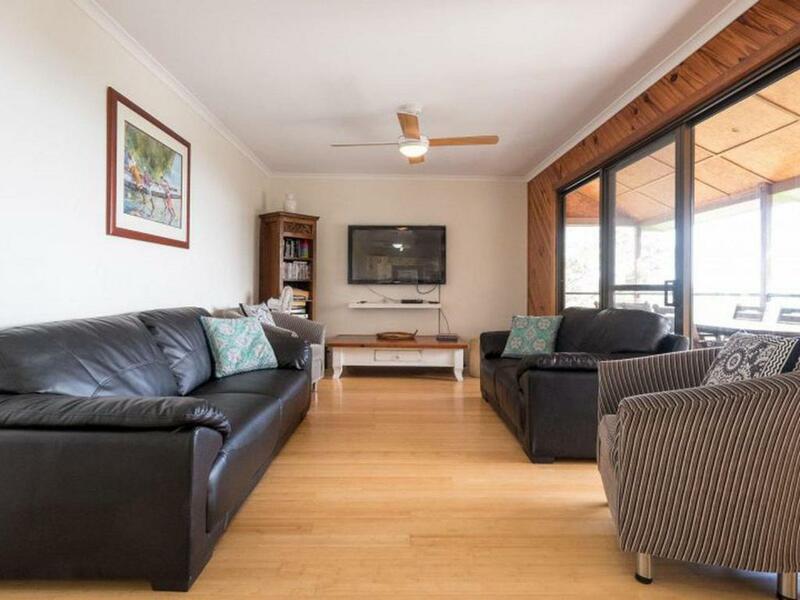 Discover Stradbroke is a professional property manager representing over 100 of Straddie's best rental properties. We are here to make your holiday perfect! In a quiet street about 400m to Home and Flinders beach. 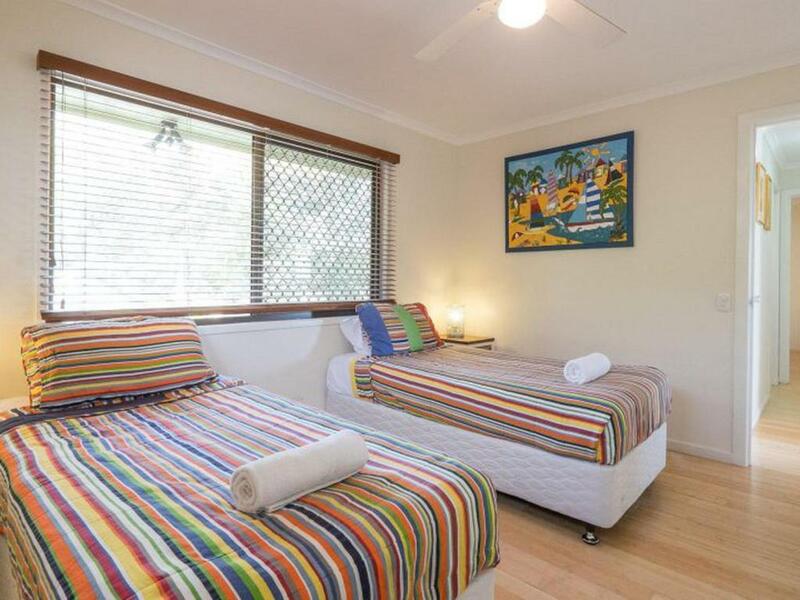 1.5k's to the Straddie Hotel. 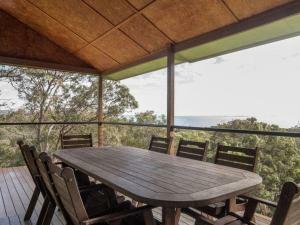 House Rules Coral Sea Lookout takes special requests – add in the next step! Coral Sea Lookout accepts these cards and reserves the right to temporarily hold an amount prior to arrival. 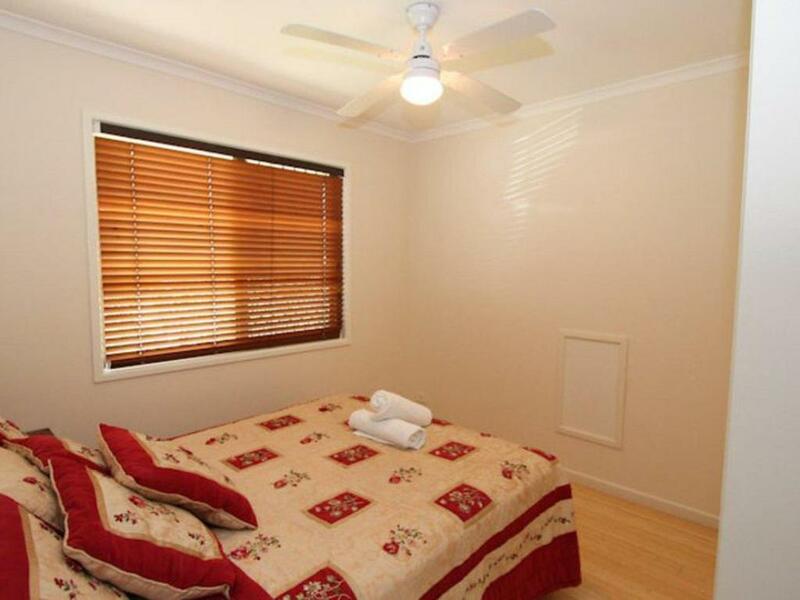 Please note that a security deposit of AUD 1000 is required upon arrival. 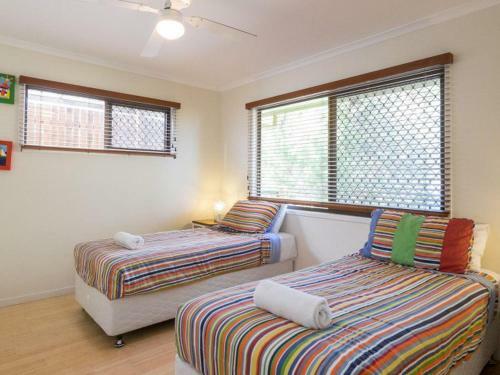 Please note that this property has a strict 'No Schoolies Policy'. Failure to comply with property policies may result in the eviction of guests and the loss of any deposit or payments made. Please note that check-in and key collection take place at: 3/23 MOOLOOMBA ROAD, POINT LOOKOUT 4183. 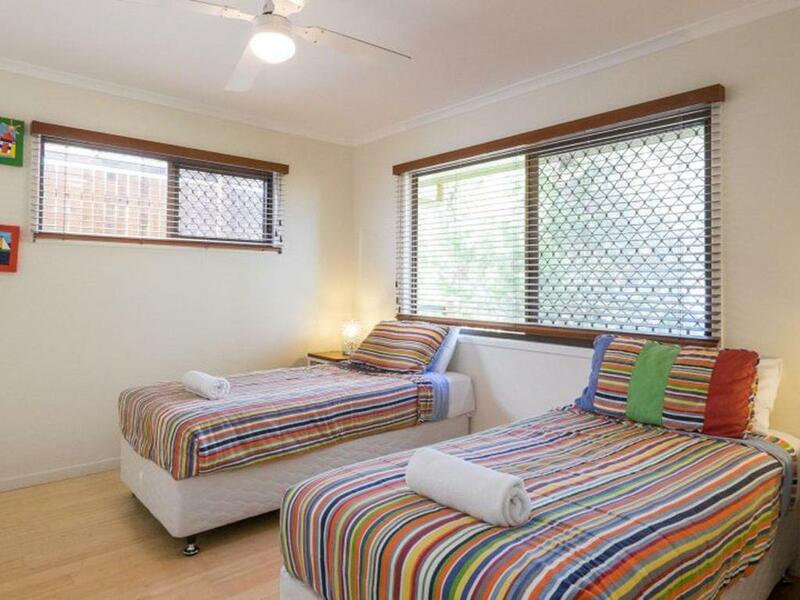 A damage deposit of AUD 1000 is required upon arrival – that's about 715.15USD. 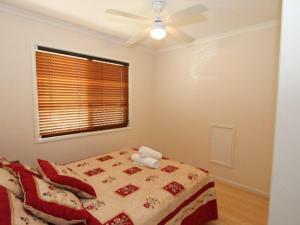 This deposit is fully refundable at check-out as long as there's been no damage to the property. We need at least 5 reviews before we can calculate a review score. 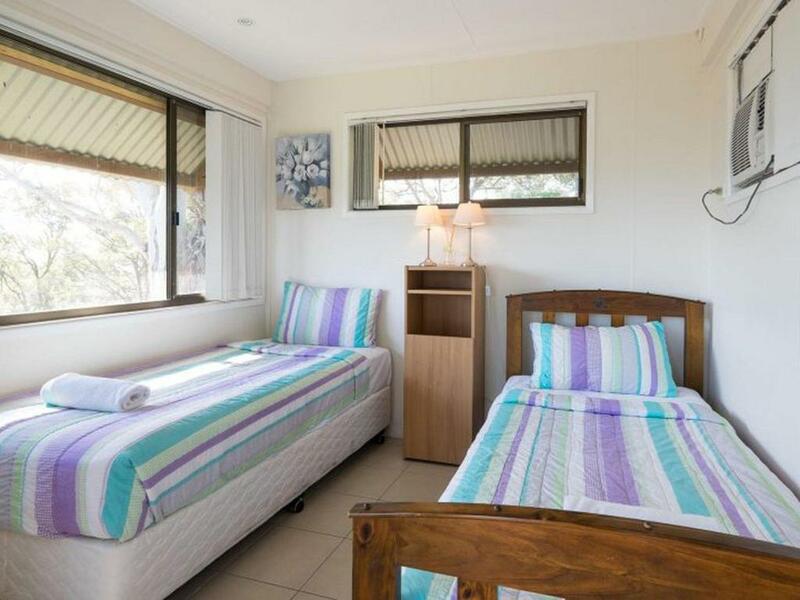 If you book and review your stay, you can help Coral Sea Lookout meet this goal.